My best friend from childhood, a ravenous science fiction reader, has been bugging me for several years to pick up David Mitchell’s 2004 novel Cloud Atlas. Since my friend once read every Hugo Award winning novel ever written (in a single year, on a dare), I try to pay attention to his recommendations. But I never got around to it. I wish I had. Cloud Atlas has been adapted into a fierce, visionary and deliciously baffling sci-fi epic from co-directors Tom Tykwer (Run Lola Run) and the Wachowski siblings (The Matrix). For fans of speculative fiction — the polite term for science fiction that dares to take itself seriously — it’s the must-see film of the year. Cloud Atlas tells six different stories in parallel, spanning several continents and centuries. Three of the stories reach into the past: San Francisco in 1973; Cambridge, England in 1936; and a ship at sea in 1849. The fourth story is set in present-day London, and the final two take place in the future — Neo Seoul in 2144, and an unspecified post-apocalypse setting long after that. The central characters in each story are different, of course, but they seem to be recursive versions of the same people, in a way that suggests notions of reincarnation or karma. The characters are played by the same ensemble of actors, including Tom Hanks, Halle Berry, Hugo Weaving and Korean actress Doona Bae. By way of makeup and digital effects, the performers switch ethnicity and even gender between story lines. On Nov. 4, 1979, Iranian militants stormed the American embassy in Tehran, taking 53 hostages and instigating an international crisis that would play out for more than a year. Six Americans managed to escape the siege and take refuge in the home of a Canadian diplomat in the city. 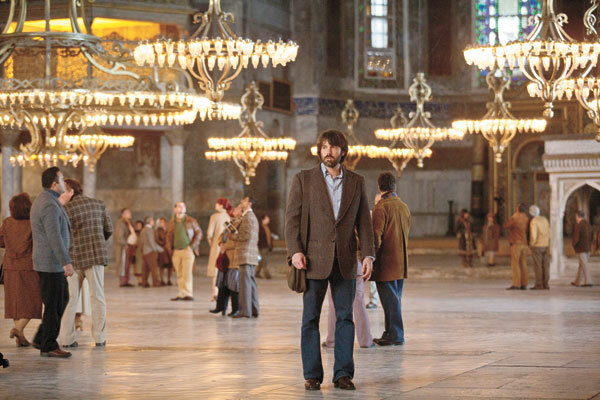 Argo, an old-school political thriller from director and star Ben Affleck, tells the true story of the daring CIA rescue mission that spirited those hostages out of Iran in the first weeks of the crisis. The details on the escape—so juicy, so unlikely—were never fully revealed until declassified documents surfaced a few years back. Affleck plays the role of CIA agent Tony Mendez, an “exfiltration” expert whose specialty is getting U.S. citizens out of dangerous spots overseas. The plan Mendez cooks up is a doozy. He’ll set up a fake Hollywood production company, fly into Tehran and sneak the hostages out as members of his Canadian film crew. Mendez must construct a watertight back story, though, because the Iranians are on the lookout for the missing Americans and interrogating everyone. So he recruits two Hollywood filmmakers, played by John Goodman and Alan Arkin, to assist in approximating an actual production of Argo, a B-movie Star Wars ripoff—complete with offices, advertisements and press coverage. It’s so crazy it just might work. Affleck is very good indeed as Mendez, a guy who’s thinking faster than everyone else in the room. Outwardly calm, Affleck keeps a coiled tension just behind his eyes. It’s a terrific screen acting performance. Advance word on “The Master,” the new film from writer/director Paul Thomas Anderson, suggested the script was the thinly veiled story of L. Ron Hubbard, founder of the Church of Scientology. Turns out that’s not quite the case. 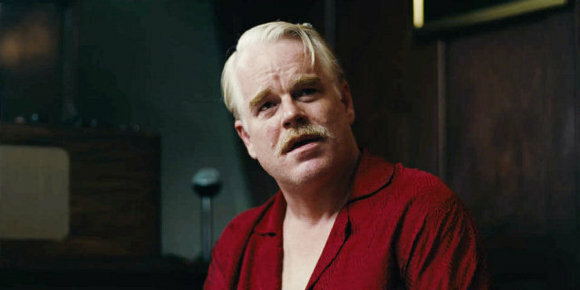 The story of charismatic 1940s cult leader Lancaster Dodd (Philip Seymour Hoffman) and his drunken disciple Freddie Quell (Joaquin Phoenix) clearly makes reference to Scientology. But “The Master” is painting in much broader strokes. The film opens with damaged World War II veteran Freddie spiraling downward after his traumatic tour of duty. Freddie’s on a suicide trip, death-by-alcohol style, and he bottoms out through a series of stateside jobs, finally winding up as a migrant field hand. Dodd is immediately fascinated with Freddie and takes him on as a kind of pet project. He also appreciates Freddie’s ability to mix high-octane cocktails out of whatever is handy – mouthwash, chemicals, jet fuel.